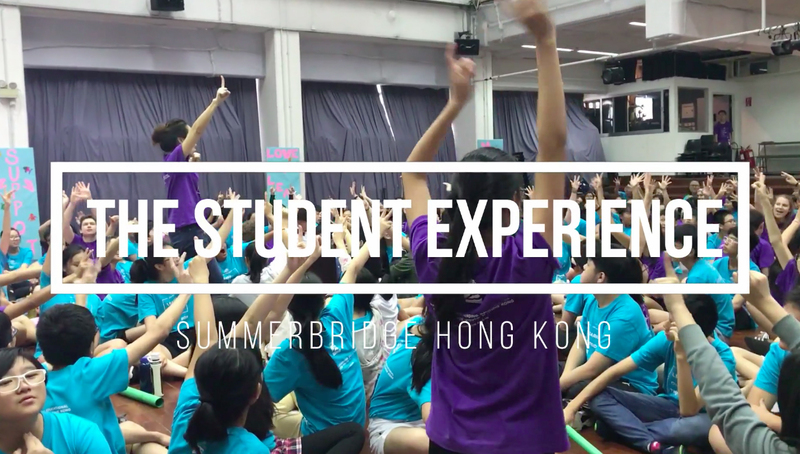 WHAT IS IT LIKE TO LEARN AT SUMMERBRIDGE? Summerbridge classes are fun and engaging, with only 8 to 10 students in a class to give everyone the opportunity to interact and share ideas. The subjects taught are interesting and different from those taught at school. Examples of subjects include Marketing, Public Speaking, and Environmental Science. The lessons encourage students to learn in exciting new ways, and students can apply their new academic skills to their own schools and future studies. Students learn in an English-only environment at Summerbridge. While challenging, students will significantly improve their English communication skills and become more confident to speak the language. Summerbridge is a very supportive place and allows students to grow and learn at their own pace. Learning happens everywhere at Summerbridge, during classes, team-building activities, and events. Every day, students build life skills, including self-confidence, teamwork, and leadership. The program is filled with opportunities for students discover their potential, from expressing their ideas in class discussions to performing on stage. Students are encouraged to show creativity and be their unique selves. Summerbridge teachers come from around the world, including the United States, the United Kingdom, Canada, and Hong Kong. At Summerbridge, students get the chance to learn about different cultures and gain role models from diverse backgrounds. Students and teachers form friendships that last for a lifetime. Summerbridge is a unique place, where the entire community supports and believes in every single student’s potential to succeed. With students and teachers sharing their ideas and passions with each other, students begin to develop a genuine interest and excitement towards the learning process. This exposure helps students see learning as a lifelong pursuit, and discover that they are able to take ownership of their education and pursue their dreams. Every day at Summerbridge begins with an All School Meeting (ASM). The time is led by students, who use this platform to shine and perform in front of the whole school. Everyone also learns a “Word of the Day” (a new English vocabulary word), participates in fun activities, and gets excited for the day ahead. After ASM, students go to 4 different classes that last 45 minutes each. Students learn different subjects from their teachers, such as Marketing, Public Speaking, and Environmental Science. Eat lunch, chat, and make new friends with fellow students and teachers. A Family is a group of eight to ten students with two teachers. Families engage in different activities and projects and get to know each other better. There are many activities to choose from: students can learn dance, play sports (e.g. basketball, volleyball, badminton), do activities like art and singing, or learn foreign languages. Every day at Summerbridge also ends with ASM. It is similar to morning ASM, but we also take time to say thank you to friends and teachers. Go home and sleep early to get ready for another fun day at Summerbridge!